How Should I Manage My Retirement Plan? Employer-sponsored retirement plans are more valuable than ever. The money in them accumulates tax deferred until it is withdrawn, typically in retirement. Distributions from a tax-deferred retirement plan such as a 401(k) are taxed as ordinary income and may be subject to a 10% federal income tax penalty if withdrawn prior to age 59½. And contributions to a 401(k) plan actually reduce your taxable income. But figuring out how to manage the assets in your retirement plan can be confusing, particularly in times of financial uncertainty. Conventional wisdom says if you have several years until retirement, you should put the majority of your holdings in stocks. Stocks have historically outperformed other investments over the long term. That has made stocks attractive for staying ahead of inflation. Of course, past performance does not guarantee future results. The stock market has the potential to be extremely volatile. The return and principal value of stocks fluctuate with changes in market conditions. Shares, when sold, may be worth more or less than their original cost. Is it a safe place for your retirement money? Or should you shift more into a money market fund offering a stable but lower return? And will the instability in the markets affect the investments that the sponsoring insurance company uses to fund its guaranteed interest contract? If you’re participating in an employer-sponsored retirement plan, you probably have the option of shifting the money in your plan from one fund to another. 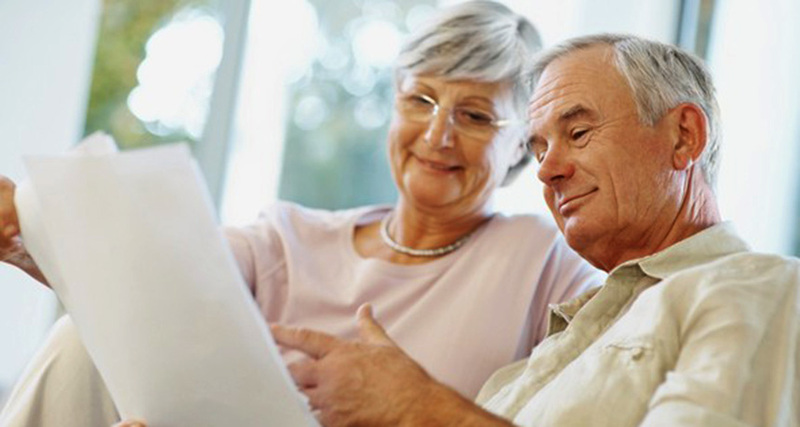 You can reallocate your retirement savings to reflect the changes you see in the marketplace. Here are a few guidelines to help you make this important decision. In spite of its volatility, the stock market may still be an appropriate place for your investment dollars, particularly over the long term. And retirement planning is a long-term proposition. Since most retirement plans are funded by automatic payroll deductions, they achieve a concept known as dollar-cost averaging. Dollar-cost averaging can take some of the sting out of a descending market. Dollar-cost averaging does not ensure a profit or prevent a loss. Such plans involve continuous investments in securities regardless of the fluctuating prices of such securities. You should consider your financial ability to continue making purchases through periods of low price levels. Dollar-cost averaging can be an effective way for investors to accumulate shares to help meet long-term goals. Diversification is a basic principle of investing. Spreading your holdings among several different investments (stocks, bonds, etc.) may lessen your potential loss in any one investment. Do the same for the assets in your retirement plan. Keep in mind, however, that diversification does not guarantee a profit or protect against investment loss; it is a method used to help manage investment risk. A guaranteed interest contract offers a set rate of return for a specific period of time, and it is typically backed by an insurance company. Generally, these contracts are very safe, but they still depend on the security of the company that issues them. If you’re worried, take a look at the company’s rating. The four main insurance company rating agencies are A.M. Best, Moody’s, Standard & Poor’s, and Fitch Ratings. A.M. Best ratings are based on financial conditions and operating performance; Fitch Ratings, Moody’s, and Standard & Poor’s ratings are based on claims-paying ability. You are likely to have the chance to shift assets from one fund to another. Use these opportunities to review your plan’s performance. The markets change. You may want to adjust your investments based on your particular situation. Information provided has been prepared from Broadridge Advisor Solutions sources and data we believe to be accurate, but we make no representation as to its accuracy or completeness. Data and information is provided for informational purposes only, and is not intended for solicitation or trading purposes. Broadridge Advisor Solutions is not an affiliate of AXA Advisors, LLC. Please consult your tax and legal advisors regarding your individual situation. Neither AXA Advisors nor any of the data provided by AXA Advisors or its content providers, such as Broadridge Advisor Solutions, shall be liable for any errors or delays in the content, or for the actions taken in reliance therein. By accessing the AXA Advisors website, a user agrees to abide by the terms and conditions of the site including not redistributing the information found therein. Securities offered through AXA Advisors, LLC (NY, NY 212-314-4600), member FINRA, SIPC. Annuity and insurance products offered through AXA Network, LLC and its subsidiaries. Helping people is what AXA Advisors is all about. We are a growing network of more than 5,000 financial professionals throughout America who connect consumers and businesses in their communities with investment products and other financial products and services to help them address the futures they build for themselves and their families. How will you draw your future? AXA Group is #3 in terms of sales according to statistics compiled by Forbes magazine for its Forbes Global 2000 list of the world’s biggest public entities (Diversified Insurance category) for 2016. * AXA Equitable Life Insurance Company (AXA Equitable) (NY, NY) is a subsidiary of AXA Financial, Inc., a member of the global AXA Group. AXA Equitable has sole responsibility for its life insurance and annuity obligations. AXA Group refers to AXA S.A., a French holding company for a group of international insurance and financial services companies, together with its direct and indirect consolidated subsidiaries. 2 As of 12/31/2015, The AXA Group AT A GLANCE 2016. 3 As of 12/31/10 Figure is $121.6 billion using 12/31/10 closing exchange rate of 1 Euro + $1,337. AXA is based in France, where the official currency is the Euro. The Retirement Planning Specialist title is awarded by AXA Advisors, based upon the Financial Professional's (FP) receipt of a Certificate in Retirement Planning from the Wharton School, University of Pennsylvania. In a collaboration between the Wharton School and AXA Advisors' affiliate, AXA Equitable Life Insurance Company (NY, NY), coursework for the certificate was developed exclusively for AXA Advisors FPs, and the title may be used only by FPs who have completed the required coursework and maintain the title through ongoing continuing education requirements. To verify that an FP has earned and holds the title in good standing, contact AXA Equitable atretirement@axa-equitable.com. Complaints about an AXA Advisors FP should be directed to customer.relations@axa-equitable.com. Securities offered through AXA Advisors, LLC (212-314-4600), member FINRA/SIPC. Investment advisory products and services offered through AXA Advisors, LLC, an investment advisor registered with the SEC. Annuity and insurance products offered through AXA Network, LLC and its insurance agency subsidiaries. AXA Network, LLC does business in California as AXA Network Insurance Agency of California, LLC and, in Utah, AXA Network Insurance Agency of Utah, LLC. AXA Advisors and its affiliates do not provide tax or legal advice. Individuals may transact business and/or respond to inquiries only in state(s) in which they are properly registered and/or licensed. The information in this web site is not investment or securities advice and does not constitute an offer. AXA Equitable Holdings, Inc. is a publicly traded corporation, and it and its subsidiaries are currently using trademarks including the "AXA" name, AXA logo and associated trademarks of AXA SA under license.